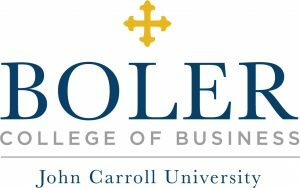 The John M. and Mary Jo Boler College of Business at John Carroll University is proud to present “Exponential Leadership,” a special speaker event aimed at connecting the concept of technology disruption to leadership. The event will be held on Friday, October 5, from 8:00 a.m. to 12:15 p.m. at the Rock & Roll Hall of Fame. John Carroll has partnered with KeyBank and Skoda Minotti to present keynote speaker David Roberts, one of the world’s top experts on technology disruption, innovation, and exponential leadership. Roberts is a distinguished faculty member at Singularity University, an award-winning CEO and entrepreneur, and decorated special agent and officer in the United States Air Force. His passion is to help leaders create new intentions for global good through technology disruption. He is the founder of Exponential Leadership, an organization which aims to transform leadership potential through qualities such as character, integrity, compassion, courage and happiness. Roberts’ work has been featured in The Wall Street Journal, USA Today, The New York Times, Businessweek, Fortune Magazine and on CNN. 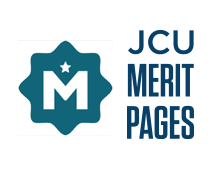 The program begins with continental breakfast at 8:00 a.m., followed by Roberts’ keynote at 8:45 a.m. Onders (11:05 a.m.), Jensen (11:25 a.m.), and McTigue (11:45 a.m.) will follow. John M. Boler Endowed Dean Alan Miciak, Ph.D, will end the program with his closing thoughts. For event questions, please contact Lisa Heckman at 216.397.4665, or at lheckman@jcu.edu. For media credentials, please contact Kathleen Lawry at 216.397.3022, or at klawry@jcu.edu.